Are you in the market for something interesting to add to your costume or cosplay? Halloween is practically around the corner, after all. If you’re searching for a costume or design detail to put the finishing touches on an ensemble, or just plain looking for weird words to wow your Scrabble buddies, Vesture Vocab is here to help! There are two previous installments (I and II), so if you don’t find what you want here, perhaps you could take a gander at the other articles for assistance! A Rabbit Hole of Wonderland Inspired Clothing? I’m In! New collections are always a thing to celebrate. The day Hot Topic sends the pre-order email, I squee with joy and browse the options. This time, however, Torrid (Hot Topic’s sister store) released an email at the same day and time. Both stores are releasing a clothing line inspired by the 2016 film Alice Through the Looking Glass. Cue my fangirling. For Your Viewing Pleasure: Five Fashion and Style Documentaries. Are you interested in fashion, its varying facets and the people involved? If you’re lucky enough to catch a break, here are some widely varied, interesting and informative documentaries with which to bide your free time! Museum Exhibits for Every Clothes Horse II. Once again, I was starting to get curious about new and exciting museum exhibits. Upon completing a little research, I discovered that there are a host of shows around the country that look super promising! Last time, I found a nifty exhibit at the Bata Shoe Museum that some of my friends and I were lucky enough to visit, and we’re already scheduling a trip for the summer of 2016 to visit another exhibit at the Wadsworth Atheneum Museum of Art. 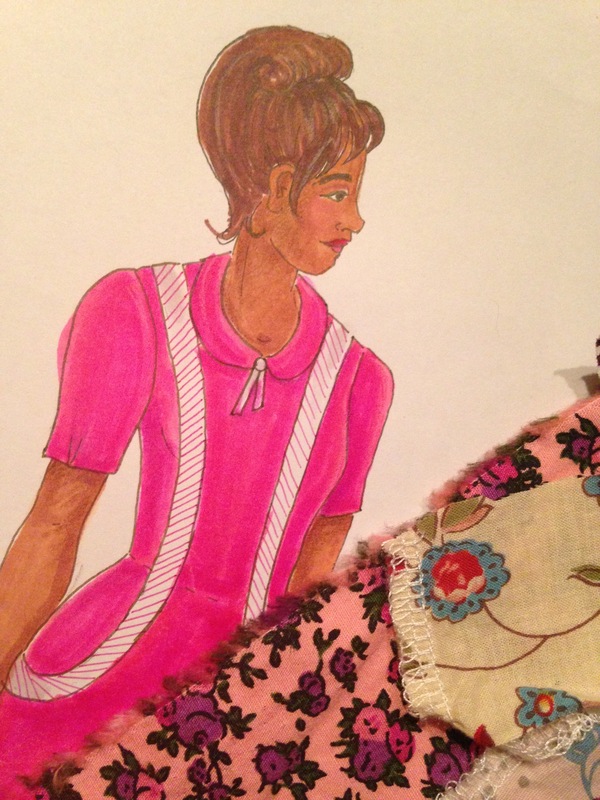 Costume Couture: What to do with a Problematic Pattern? There are lots o’internet articles and memes nowadays concerning expectation vs. reality, from cheap garments to fast food, and a whole host of topics in-between. Even Cake Wrecks and Pinterest Fail play into this concept, because, let’s face it— no one has a 100% accuracy rate when it comes to their artistry. Whether you’re an experienced baker or a the greenest novice of crafters, there is a huge amount of trial-and-error before such things can be perfected. Plus, it’s healthy to appreciate one’s mistakes, even if it means having a laugh from time-to-time. Lucy’s sewing project went unsurprisingly awry! I recently had my own experience regarding expectation/reality when it came to a commercial pattern that I had procured a little while ago. While I’m not at all surprised that the outcome of the garment I made looked different from the image on the pattern envelope (for instance, I decided upon a different method of using the fabric), I was rather perplexed by the fact that the garment I made with the pattern pieces extracted from the the envelope didn’t actually look at all like the advertised picture. The pattern cost a mere buck, however, and I’m willing to try most patterns that look promising and interesting. 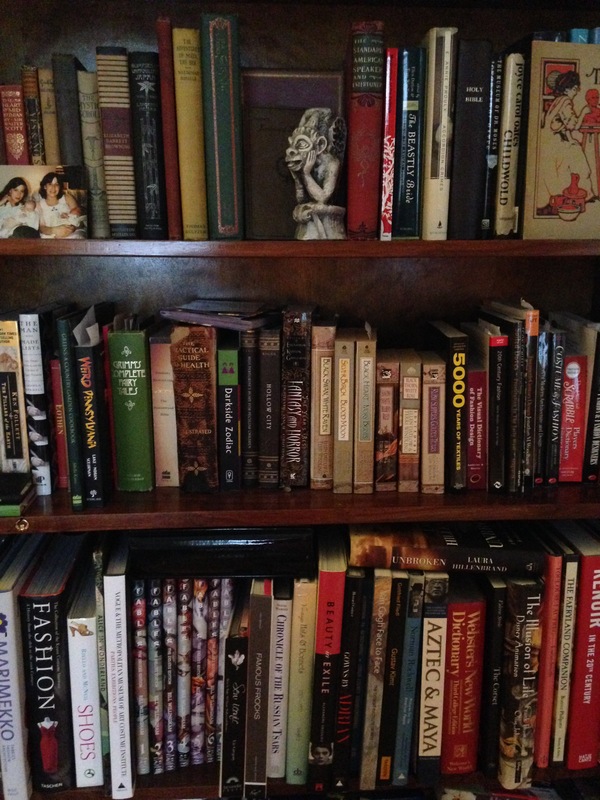 Five great books on fashion and costume! It’s no secret that I love fashion and costume— both their current trends and impact, in addition to the history behind clothing, are vastly interesting topics! Likewise, I have a keen passion for books! Thus, I have accrued quite a collection of the printed word in regards to what we wear and why we wear it. If you’re looking for a fashion book for either informative purposes or simply to look at its lovely pictures, check out some of these suggestions! 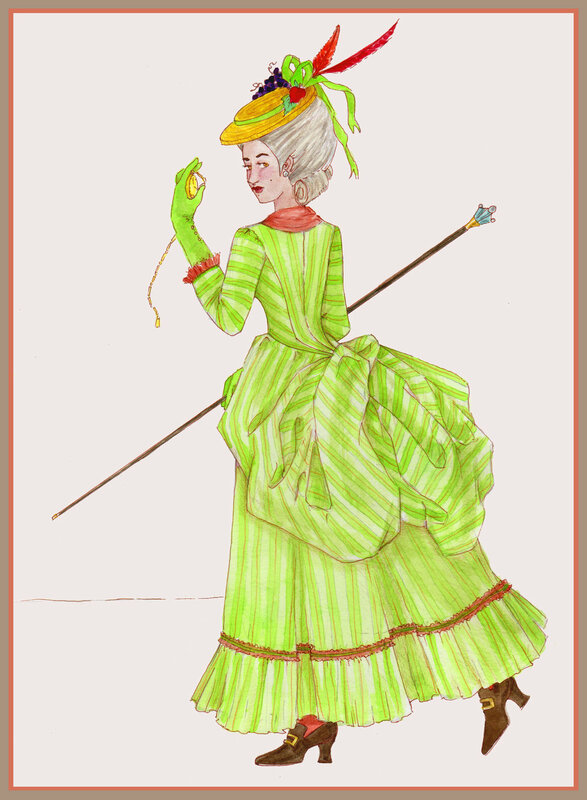 Fashion, costume and historical garb: Museum exhibits for every clotheshorse! I could wander at length around most museums, finding endless, personal, and silent entertainment in what is on view. Personally, a great collection or exhibit has the ability to both exhilarate and to exhaust the mind; the inspiration I glean is abundant and utterly gratifying in the most sublime of manners. There happen to be an amazing array of fashion and historic costume-inspired exhibits that are currently on view, or are slated for dates within the next year. Keep on reading to discover a few of the gems that I am really excited about! Pardon my haste… I have a date at the museum! 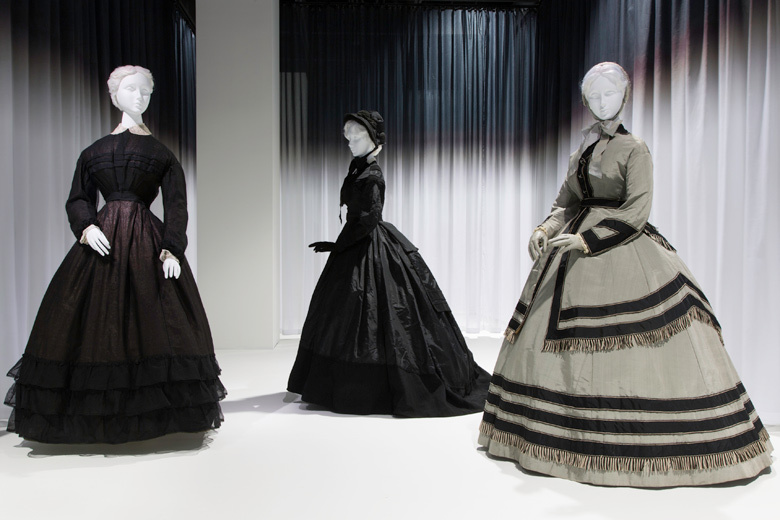 If you have a taste for the macabre, The Metropolitan Museum of Art’s Death Becomes Her: A Century of Mourning Attire is a little polished gem of jet for those with perhaps a bleaker mindset, but also for those who simply possess an interest in the history of costume and fashion. Mid-19th-century mourning (and half-mourning) attire from Death Becomes Her.